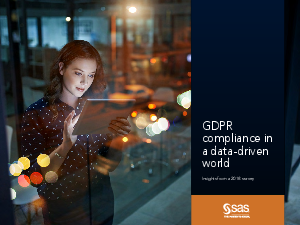 To learn how organizations have approached compliance efforts, SAS conducted a global survey among 183 cross-industry businesspeople involved with GDPR. Based on the results, this e-book delves into the biggest opportunities and challenges faced. • Get advice from industry experts. • Find out what steps peers have taken. • Learn how an integrated approach from SAS can continue to guide your journey.